The holidays are a difficult time of year for people that struggle with anxiety and depression, myself included. 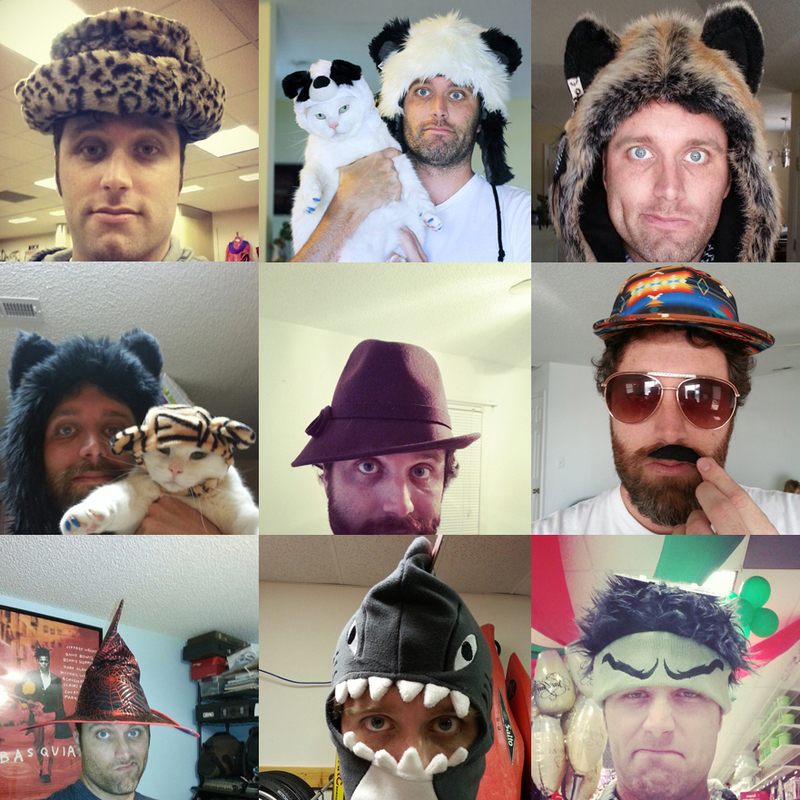 To combat this, 4 years ago, I created a holiday called Hatmas, which features 31 days of hats. Hatmas is a lighthearted and not-at-all-serious celebration of being weird and trying to make myself and others smile. I wasn’t going to do Hatmas this year, for various reasons. However, I hadn’t realized that a lot of my friends, family, and even complete strangers look forward to my stupid antics every December. People reached out to me, told me it is something that makes them happy, that this silly made-up holiday means something to them. So, I have decided to do Hatmas for a 4th year. Yikes. Also, I figured that I should do something worthwhile with it, so I have decided to raise money for Pandas International, an organization that funds conservation efforts to save and protect giant pandas…because I love pandas. Duh. The goal is to raise $1000 by the end of the month, which will adopt a panda for 2016. Please use this link for donations, spread this link around if you want to help, or donate. Contact me if you are participating so I can be on the lookout for your work!